We’re raising a glass to the Brisbane Community! 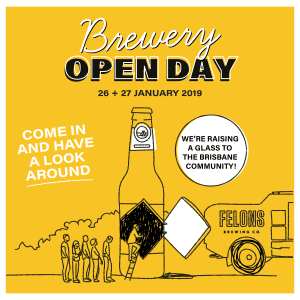 We have been overwhelmed with the support of our beer and brewery since opening our doors in November and we are opening our doors to welcome the local community to come have a beer with us. We’re throwing a party to officially open our brewery to all!